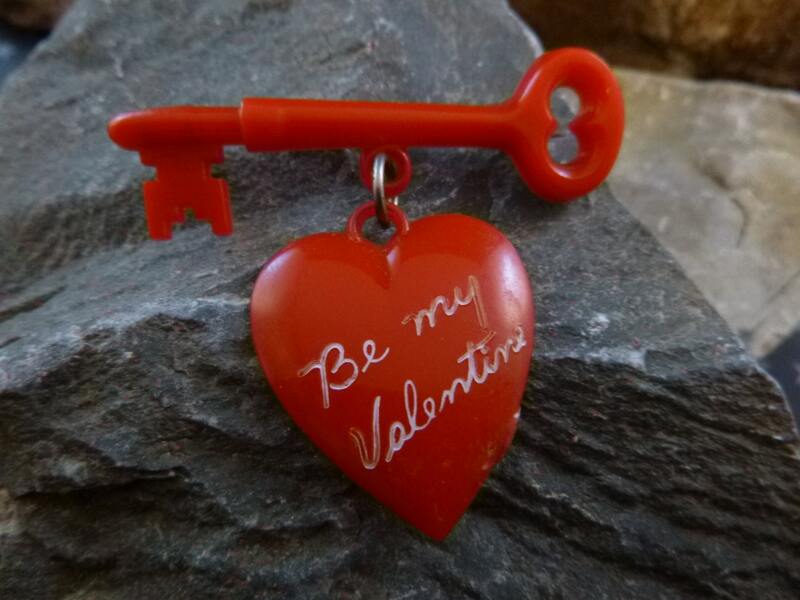 This delightful Valentine’s Day mid century heart brooch, with the iconic words, “Be my Valentine” hanging from a key, is classic l950s-l960s. The pin is featured on page 79 of Leigh Lesner’s book, Collecting Art Plastic Jewelry with one variation. The pictured pin does not have the words, “Be my Valentine” on it. At the time of publication in 2005, the value placed on this collectible plastic pin was $45. 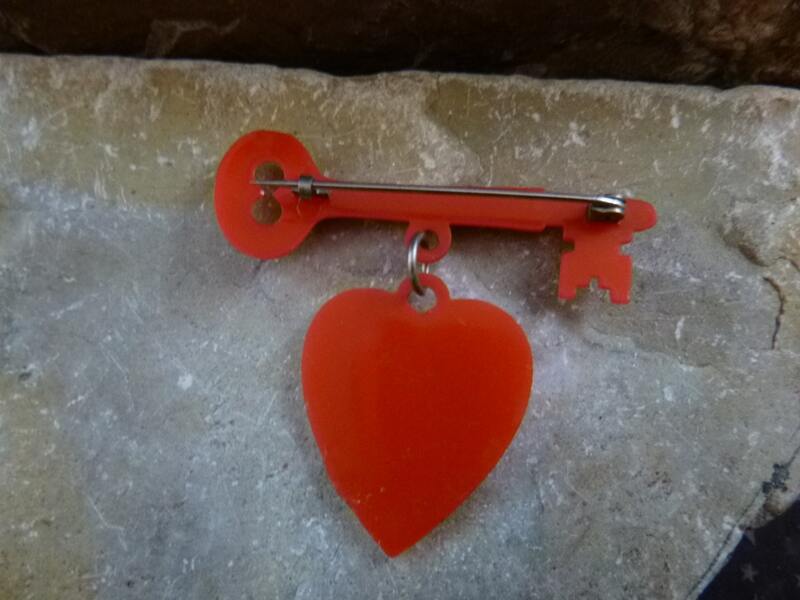 Made of mid century thermoset vintage plastic, the pin measures 1.75” wide across the key and dangles 1.5” to the tip of the heart. 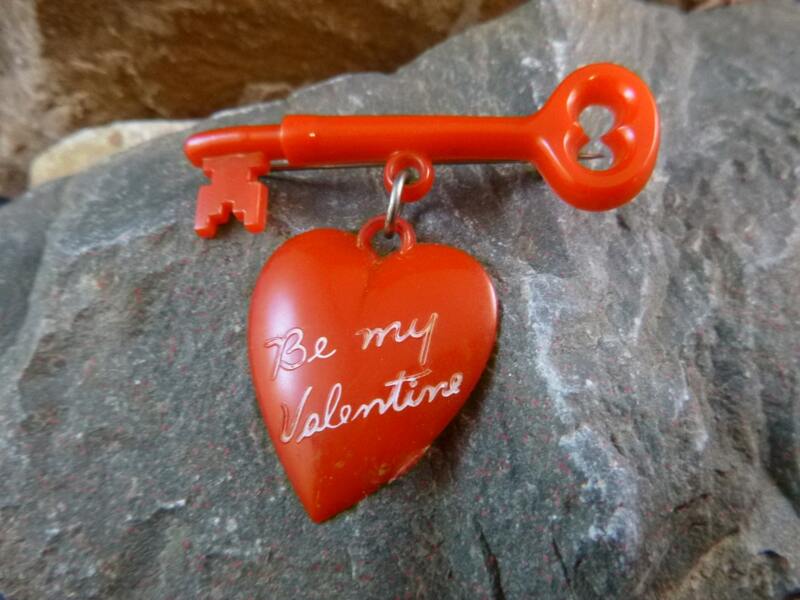 The heart swings freely from the key. The red color is vibrant (although the pictures don't reflect that color well); the pin and fastener strong and secure. This little pin is a wonderful reminder of simpler times and a fun vintage piece. Overall the pin is in good to very good condition for its 50+ years of existence. However, it does show vintage wear in the form of gentle scratches here and there and a small patch of age related wear on the lower right front of the pin. 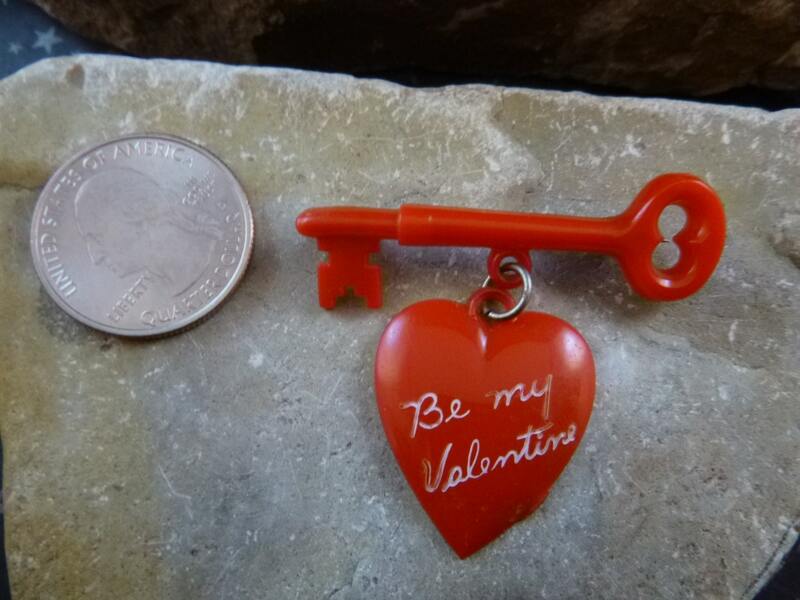 Whether you love Valentine’s Day or vintage jewelry, or would like to surprise a loved one with a sweet “Be my Valentine” message, it’s a delightful piece. 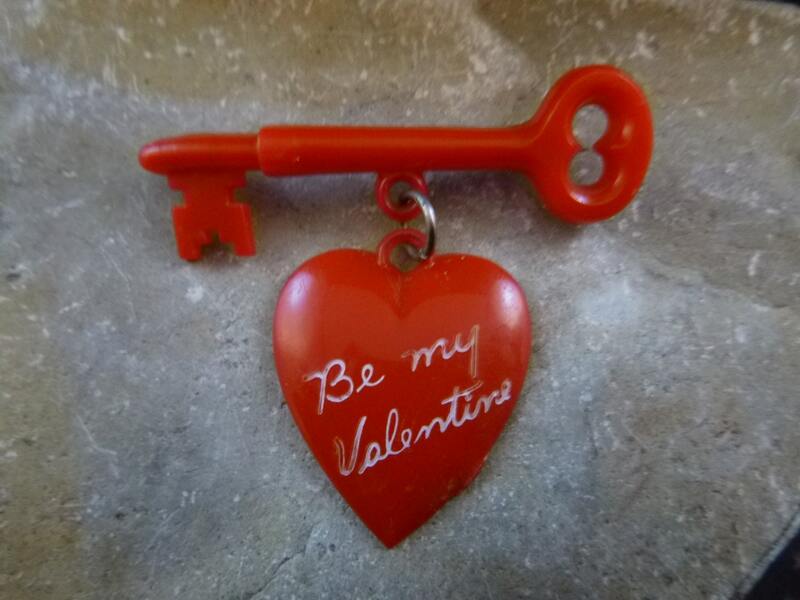 The pictures offer greater perspective on the condition and classic fun styling of this “Be my Valentine” mid century pin. If you need something quickly or shipped internationally, please contact me. *** I SHIP TO MANY COUNTRIES; *** TYPICALLY I CAN EXPEDITE SHIPPING.